There are no portents whose evil effects are irremediable by Pushya Snāna and there are no ceremonies calculated to do a king as much good as the ceremony of Pushya Homa [ritual]. The king that desires an increase in power and the king that desires sons will be benefited by Pushya Snāna [bath at the time of Pushya]. Pushya is mentioned in several lexicons and other sources (see Böhtlingk-Roth, s.v.). More interesting, however, is the fact that the Rāmāyaṇa Book 2 (Ayodhyā-kāṇḍa, the Book of Ayodhyā), refers to Puṣya, not once or twice, but several times in all in connection with the coronation of Rāma, but with quite an opposite effect. Some may very well think of this passage as an act of subversion. The royal astrologers could foretell about Daśaratha’s death but could not foresee that Rama was not destined to be made the prince regent. The counsellors of Daśaratha too proved to be no better, although they were sages of repute. They too did not foresee that all attempts to consecrate Rāma would prove to be futile: Daśaratha was not destined to see his eldest son enthroned. Mantharā then proceeded to visit Kaikeyī. She found her quite happy with the news of Rāma’s coronation. The queen even presented her with a lovely piece of jewellery. In the mean time, the work of consecration has begun. Thus, contrary to all expectations, instead of being crowned as the sovereign of Kośala, Rāma was forced to go to exile for fourteen years. The prediction of the astrologers and the endeavours of his father’s counsellors came to naught. So much for the alleged beneficial effect of Puṣya.6 The astrologers and cunsellors did not warn Daśaratha of the consequences if he tried to empower Rāma as the King of Kośala. The reason for immediate coronation of Rāma as indicated here is that stars do not seem to be favourable to Daśaratha, and even suggest calamities like death or change of mind. The good and auspicious idea in the mind of Daśaratha, therefore, requires to be put into action immediately (p.695). This is to miss the mark. Vaidya does not say a word about astrology and its failure. He is concerned solely with the ethical questions arising out of the situation. Nor does Sheldon Pollock, in his otherwise admirable translation, spend a single word to point out the irony of the circumstances. All this automatically raises the obvious question: how could such an anti-Establishment view find place and continue to hold it in a ‘sacred text’ like the Rāmāyaṇa? The only tentative answer I can offer is that, even among the redactors of the Ayodhyākāṇḍa of the Rāmāyaṇa there must have been one who had some grudge against astrology, perhaps because he himself had been a victim of deception of false prophecy. Or he might have a freethinker (rarely met with, but not altogether non-existent in any phase of Indian history), not believing in astrological predictions. There is no gainsaying that the irony of the situation is enhanced by the welfare expected of Puṣya and the disaster that fell on Rāma’s life. There is an oral tradition which says that the adherents of the Nyāya philosophy used to scoff at the astrologers by saying, ‘Astrology is (rendered) fruitless by the banishment of Rāma from his kingdom’ (viphalaṃ jyotiṣaṃ śāstraṃ rāme rājyavivāsite).7 This was in response to a maxim vaunted by the astrologers, ‘Astrology is productive (lit. fruitful) where the sun and the moon are (its) witnesses’ (saphalaṃ jyotiṣaṃ śāstram candrārkau yatra sākṣiṇau). The redactor of this section of the Rāmāyaṇa Book 2 must have been an ancestor of the Naiyāyikas who ridiculed astrology by citing the case of Rāma’s banishment. Puṣya occurs in the following verses in the vulgate: 2.12ab, 3.41ab, 4.2ab, 4.22ab, 4.33ab, 7.11ab, 8.9cd, 15.3ab, and 26.8 ab. 1 Since the month of Pauṣa comes after the harvesting season, cultivators and traders are in a relatively prosperous state, and have some money to spare. There is a Bangla proverb, kāro pauṣmās kāro sarvanāś (To one the month to prosper ( Pauṣa), to another, disaster). A festival is also held in every Bengali Hindu household at the last day of Pauṣa. Several types of cocoanut confectionaries are prepared and people are invited to partake of them. 2 The other two synonyms are Tiṣya and Puṣyā. saubhāgye-kalyāṇakaraṃ durbhikṣa-maraṇākahaṃ || (Kālikā-Purāṇa 86.2, p. 879). This verse is quoted in the Śabda-kalpa-druma, a Sanskrit-Sanskrit dictionary, from which it is re-quoted in Böhtlingk-Roth’s Sanskrit-Wörterbuch. 6 It may be mentioned in this connection that there are several floating verses (udbhaṭa-śokas) of unknown authorship satirizing astrologers. Some of them have been collected in the anthology, Subhāṣita-ratna-bhāṇḍāgāra under the head, ‘Censure of Evil Astrologers’ (kugaṇaka-nindā). 7 These two maxims have been cited by S. Thakur in 1982/1988 p. 22. To the best of my knowledge they had never been recorded before. Enquiries with Nyāya specialists such as Professor M.K. Gangopadhyaya and Professor Prabal Kumar Sen too confirmed this conclusion. Thakur in his short note, however, discusses Daśaratha’s speeches alone; he does not mention those of others. Aśvaghoṣa. The Buddhacarita. Ed. and trans. E. H. Johnston. Delhi: Motilal Banarsidass, 1978 (first pub. 1936). Aṣṭādhyāyī of Pāṇini. Ed. and trans. S. M. Katre. Delhi: Motilal Banarsidass, 1989. Böhtlingk, Otto and Rudolf Roth. Sanskrit-Wörterbuch. Delhi: Motilal Banrsidass, 1990 (reprint). Brockington, J. L. Righteous Rāma: the Evolution of an Epic. Delhi: Oxford University Press, 1984. Kālikāpurāṇa. Ed. Panchanana Tarkaratna, revised by Srijiva Nyayatirtha. Kalikata: Nababharata Publishers, 1384 Bangla Sal. Katre, S. M. See Aṣṭādhyāyī of Pāṇini. 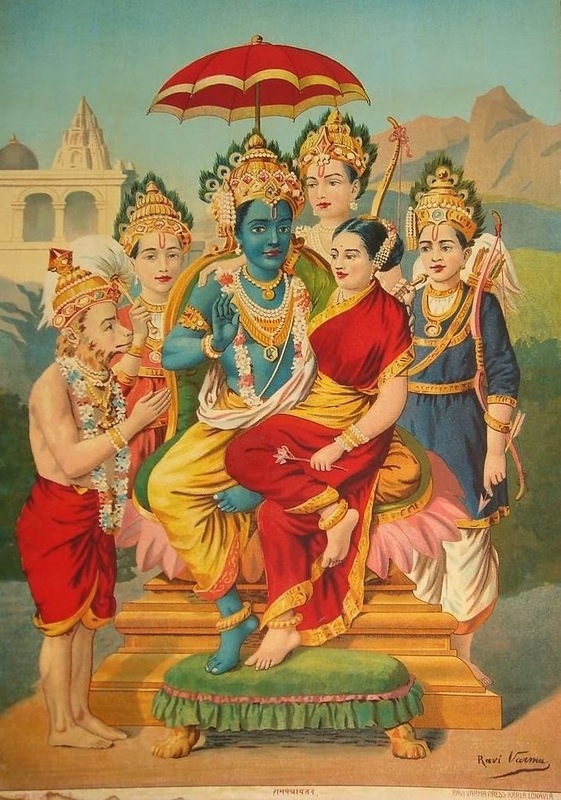 Rāmāyaṇa, Book 2, Ayodhyā by Valmīki. Trans. Sheldon Pollock.Princeton: Princeton University Press, 2005. Śabdakalpadruma (1822-58). Compiled by the Pundits appointed by Radhakanta Deva. Delhi: MLBD, 1961 reprint. Subhāṣita-ratna-bhāṇḍāgāra. Narayan Ram Acharya (ed.). Bombay: Nirnay Sagar Press, 1952, newly edited by Kashinath Pandurang Parab. Śrīsubhāṣitaratnabhāṇḍāgāraṃ. Revised by Wasudev Laxman Panashikar. Delhi: Eastern Book Links, 1991. Thakur, Srikrishnaciatanya. Jyotiṣīder bhāgya gaṇanā upahāsa karechen Vālmīki (Vālmīki ridicules the astrologers’ calulation). Utsa Mānush, October-November 1982, reprinted in Vijñāna Jyotiṣa Samāja. Kolkata: Utsa Mānush, 1988 (first published 1983), 22-24. Vālmīki Rāmāyaṇa,The. Critically edited by G.H. Bhatt and others. Baroda: Oriental Institute, 1960-75. Varāhamihira. Bṛhatsaṃhitā with [saṃhitā-]Vivṛti by Utpalabhaṭṭa. Ed. Avadha Vihari Tripathi. Varanasi: Sampurnanand Sanskrit Vishvavidyalaya, 1968. Varāha Mihira. Brihat Samhitā. Trans. N. Chidambaram Iyer. Madras, 1884. Viśvakoṣa. Compiled and published by Nagendranath Vasu. Vol. 12. Kalikata, 1308 Bangla Sal (1901ce). Acknowledgements: Amitava Bhattacharyya, Sourav Basak, and Sunish Kumar Deb. The usual disclaimers apply.